Interest is like a fee for borrowing money. That’s pretty straight forward in the case of your home loan - but when we’re talking about your savings, what does borrowing money have to do with it? Well, when you put money away in a savings account, that’s essentially you lending the bank your money. It’s still accessible to you at any time, but while you’re not using it, the bank can. In return for that, they pay you interest each month. What affects how much interest you earn? 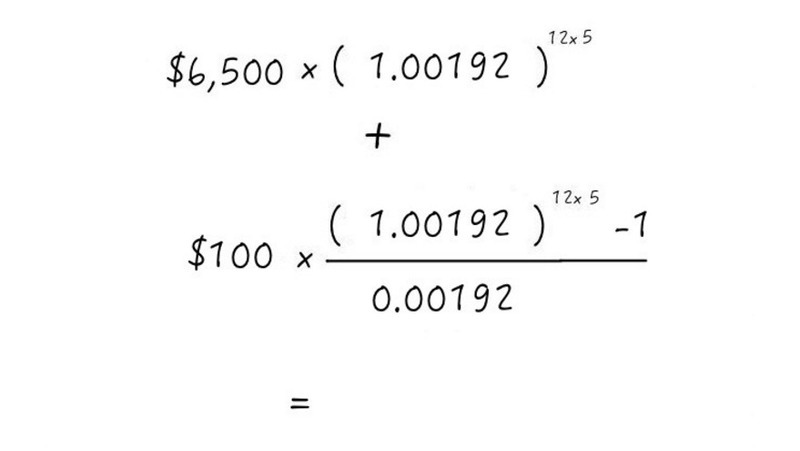 Interest is calculated as a percentage of your savings, determined by the interest rate your bank is offering. When shopping around for a savings account, you’re looking for the highest interest rate available. But remember to also consider savings accounts with great introductory or bonus rates. Most savings accounts will generate interest on a daily basis, but pay it monthly, which is what you need to know to use our formula below. If you’re looking at a different kind of savings strategy this might be different- for example a term deposit usually only pays interest once, at the end of the fixed term. The amount of savings you can stash away in your account in the first place will affect how much interest you earn. 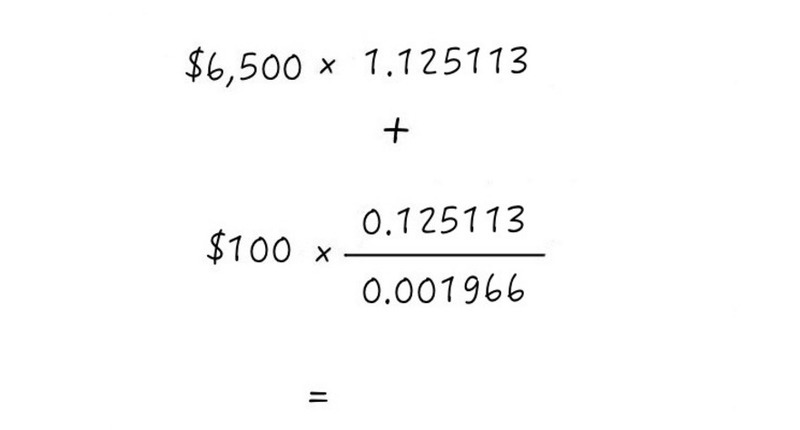 Look at it this way - 2% of $100 is more than 2% of $10. So if your money is split between a couple of places, pool it all and stick it in a high interest savings account to earn as much interest as possible. The best way to plump up your savings? Keep funneling money into them. Making regular deposits can boost not only your bank balance, but also the amount of interest you’ll earn in a month, because it’s being calculated on a bigger amount. Plus, if you’re after bonus interest rates, many have minimum monthly deposit requirements. Obviously, the longer your money is in a savings account, the more interest it will earn. To work out how much interest you’ll earn, you need to know how long you’re going to leave it there. If you’ve got a savings goal - say a trip to Fiji at the end of the year - you’ll be able to work out if your current interest rate and deposit schedule will get you there in time. You can also work it out using our free savings goal calculator. And if you want to know how much interest you made in that period, all you have to do is take your old balance away from the new one, to get $813.24 interest. 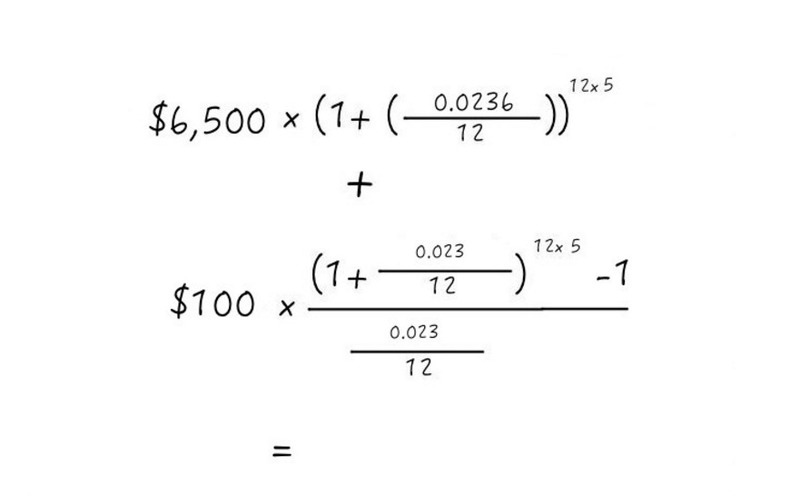 That’s a lot to work with, so simplify by working out the values inside the brackets. 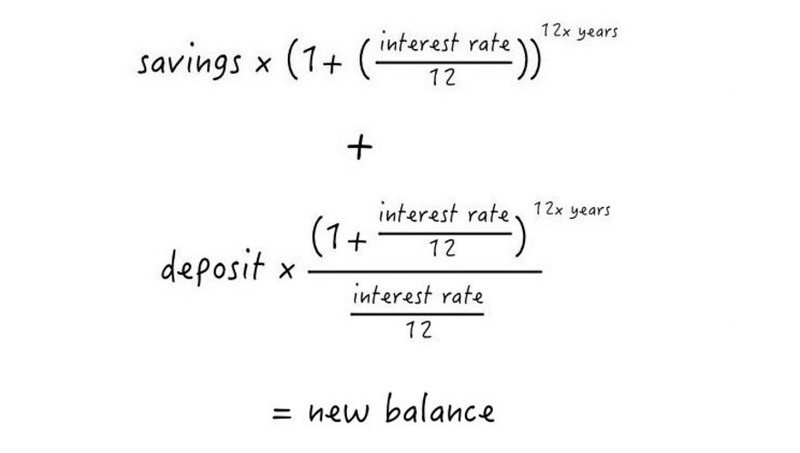 From there, a couple of quick calculations should give you an easy equation and a solution for how much your new savings account balance is. When we put this one through our handy savings calculator, it gave us an answer of $13,675. Considering we were rounding to the nearest decimal place, that’s pretty close! In our example, total interest earned was $1,174.92. That means that by making $100 deposits each month, you’ve earned a little over $360 more in interest than you would have otherwise. Ready to start earning interest on your rainy day fund? The first thing you’ll need to do is find a competitive savings account. Check out our savings account comparison to find one that suits you, and don’t forget to read our savings plan guide, for some pointers on how to make the most of your savings.